Windows and Office make it easy to work in extension ignorance. You double-click a file and Office knows which application to open. You don't need to know a file's type to use it. 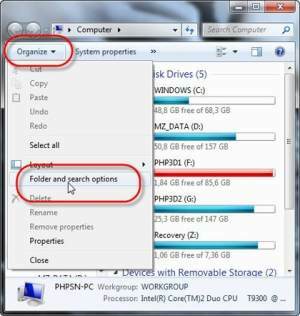 Win7's new file system seems to be lacking something. I still wish to see the entire file name, i.e. "WhatACrock.wmv", or "Kids_football_game.jpg" I use to view "details" in explore when viewing/searching files.